Aaron Ramsey was the main topic of conversation at the Arsenal Football Club during the week. Although it has long been clear that the Welshman, who was in the professional squad of “Gunners” since 2008, will not renew his contract, however, it was announced on Monday that the passionate midfielder in the coming season, the Italian top team Juventus will connect. However, by the summer of the 28-year-old is still the shoes for his heart club lace and with all their might try to get at least a title to Islington at the end. As Unai Emery’s side have lost out in both Cup competitions and, of course, have no chance of winning the championship in the Premier League, only the UEFA Europa League has the opportunity to win a trophy. In the second most important European club competition, Bate Borisov will face Arsenal in the second round first leg. The odds for an away win imply a whopping 68% probability of entry, so the favorite role is logically clear to the English. However, you should not underestimate the reigning Belarussian champion, because after all, the supposed underdog has Champions League experience and also prevailed in a strong group behind Chelsea FC in second place. That’s why we deliberately opted for an alternate bet between Bate Borisov and Arsenal and let bets on the game’s outcome. The fact that Bate Borisov qualified second in the group stage for the second round in the UEFA Europa League was more surprising given that the Belarusians scored only three points after four games. Thanks to two successes at home against Mol Vidi (2: 0) and on the sixth match day at PAOK Salonika (3: 1), the yellow-blues nevertheless moved to second place behind Chelsea and are now looking forward to the first European spring in six years. In 2012/2013, the Eastern Europeans were last in the knockout phase of an international competition, but they failed, as they did already in 2010/2011 at the premiere, at the first hurdle. In three of the past four knockout games Bate has not scored his own goal. It is quite possible that this fate is on Thursday evening threatens. Between Bate Borisov and Arsenal the prediction for a “to-zero-success” of the favorite seems at least not unlikely. But we can just as well imagine that the team of Aleksey Baga, who took over the post from the Belarusian series champion only in August of last year, can at least stand up well in the first half. As proof of this we take the group phase home game against Chelsea, as the underdog went into the cabin after 45 minutes with a goalless draw and caught the only goal after the break to 0: 1-final. 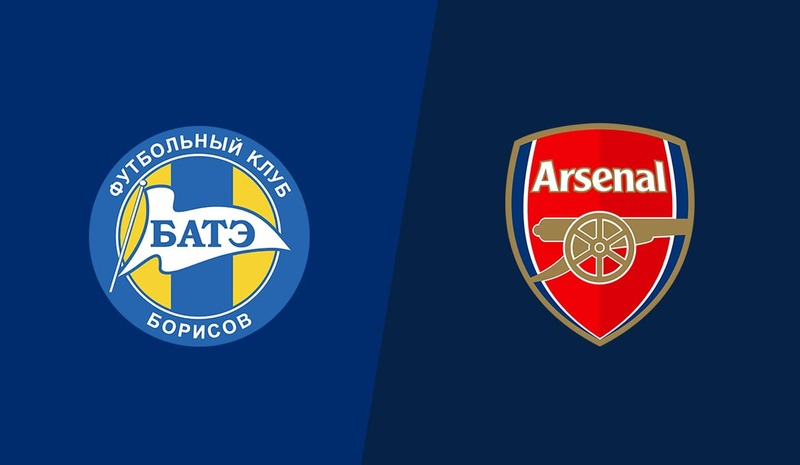 Another argument to the Bate Borisov vs.. Arsenal’s tip to justify more hits from the “Gunners” in the second half is the fact that the yellow-and-blue are not currently in action, so they may run out of steam as the game progresses. The league season in Belarus is running in the calendar year, so Borisov’s last competitive game over two months is in the past. The European home record, with six wins, five draws and seven defeats, is not as bad as one would expect, so the obvious mistake of wagering on a score victory should not be done. Well-known names have rarity value in the presumed list of Belarusians. Only the former Bundesliga professional Aliaksandr Hleb, who will probably sit on the bench, stands out, especially since he has an arsenal past in the Premier League. For 19 consecutive seasons, the Arsenal Football Club was a fixture in the UEFA Champions League. Only in the past season ended this series when the “Gunners” had to make do with the second-rate Europa League. Right away, the Londoners moved there in the semifinals, but then failed to later titlist Atletico Madrid. Coach Unai Emery’s squad, once again in charge of the Europa League trophy three times in a row by Sevilla FC, is again considered one of the top favorites for the finals. In the group stage, Pierre-Emerick Aubameyang and Co. left a sovereign impression and ultimately prevailed with 16 out of a possible 18 points. The only two goals conceded Arsenal in the first game against Vorskla Poltava. In the other five games the white vest was preserved. Despite the regular performances in the preliminary round, the Premier League is also the top priority for the capital club. There Arsenal is currently ranked fifth with one point behind fourth place. The return to the premier class is the target, on which the Spanish coach Unai Emery must be measured at the end of the season. Technically, the Red-White Constance last missed something. In the last six competitive games, victory and defeat always alternated. Especially in foreign countries, the “Gunners” have been hard on a regular basis. Only last weekend’s 2-1 win at Huddersfield Town ended a six-match winless series in opposing places in the Premier League. Accordingly, it is not necessarily to be expected that the Emery-Elf will perform so confident and confident on Thursday evening in Belarus, in order to force a preliminary decision already in the initial phase or in the first round. Players like Suarez or Aubameyang live off their speed and usually need large spaces to play out their own strengths. However, as Eastern European teams are fairly compact under normal circumstances and focus on a stable, well staggered and multi-legged defensive, the away game in Belarus could be a test of patience. Only in the course of the game, namely, when the hosts have eased and the English have a little over the counterparty over a high ball possession share, the guests are likely to apply their qualitative advantages profitably. Since the other risk factors between Bate Borisov and Arsenal are too high or the odds for a straight away win are too low, it definitely makes sense to keep an alternative recommendation in the form of goal bets. Ramsey, Xhaka and Sokratis will not be available. Özil and Aubameyang have recently been struggling with flu, but could return to the team. Also Barca loan Denis Suarez is eligible to play and comes for his personal start-up premiere in question. Ten goals from two games – that’s the record of Arsenal FC against Bulgarian representative Bate Borisov. In the past season, the two teams met in the UEFA Europa League group stage and on both occasions the English kept the upper hand. In front of a home crowd, the fans cheered a true offensive fireworks at the 6-0 in the Emirates Stadium. In Borisov the “Gunners” beat 4: 2. In both cases, the favorite with three goals in the first half already laid the foundation for success. Does it take Thursday until the second half, before the Emery Elf flourishes? The signs before the match between Bate Borisov and Arsenal seem clear. The odds paint a similar picture, because anything but a quite sovereign away win, which already represents a kind of preliminary decision in the fight to progress, would be a surprise. The English have significantly more individual quality and are also in the middle of the game operation. The opponent from Belarus, however, last completed only test games, as the league season in eastern Europe in December 2018 came to an end. This information leads Bate Borisov and Arsenal also to the forecast that the hosts can not stand the continuous pressure of the guests with continuous playing time. Because the Gunners won just one of the past seven away games in the Premier League and were not necessarily confident in recent matches, we would not expect the Emery team to make a decision in the first 45 minutes. As you know, this is a first-leg away match in which both teams, especially in the first round, need to find the right balance between risk and stability. So we’re looking away from recommendations for a three-way exit and instead dare in the duel Bate Borisov. Arsenal’s good odds hint that the Arsenal Football Club scored more goals in the second half than in the first 45 minutes. A deployment of five units is justifiable, especially as he plays exclusively on the fate of the “Gunners” and the hard to estimate Belarusian outsiders ignored.